PCs are used all across the world, and people work right around the world. You might be an American working in the Middle East, or a South Korean in the heart of Europe. Either way, unless you’re using the laptop or the tablet that you brought with you, you’ll find yourself faced with local language, date, and number settings for the country you find yourself in. 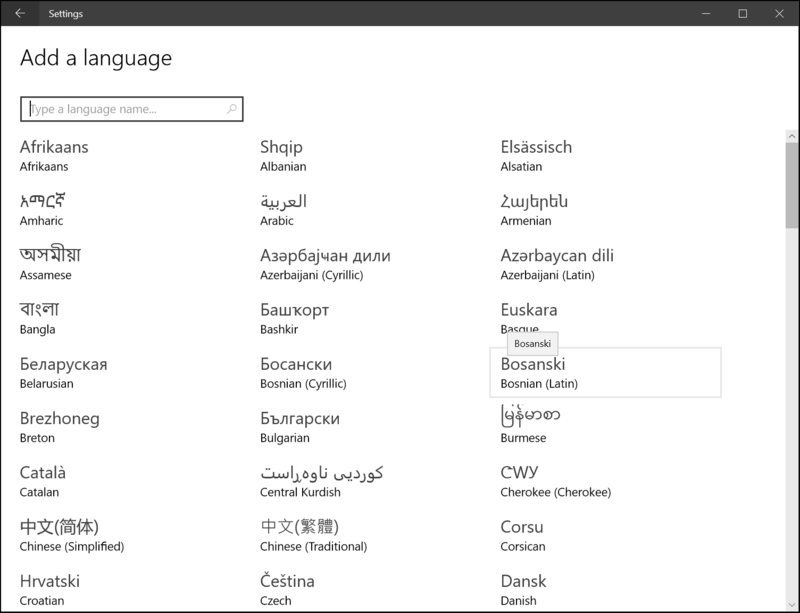 Luckily, Microsoft has made it very easy to both install new languages and change between existing languages. 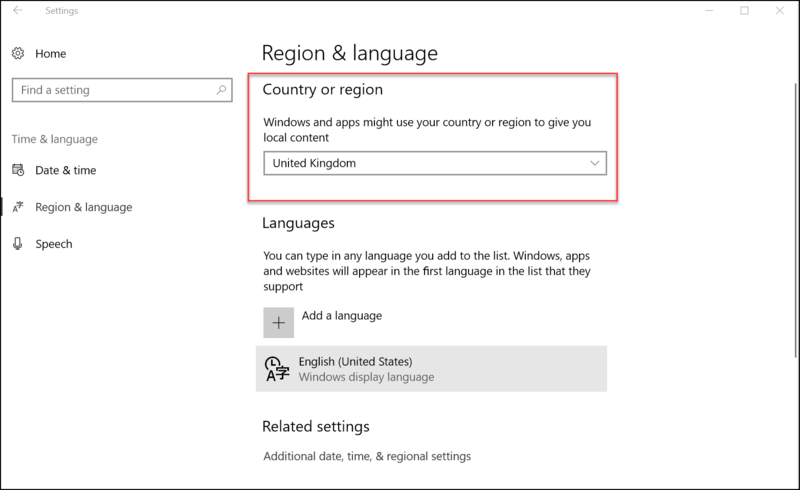 With this tutorial we will guide you ways to change your default language and region in Windows 10. 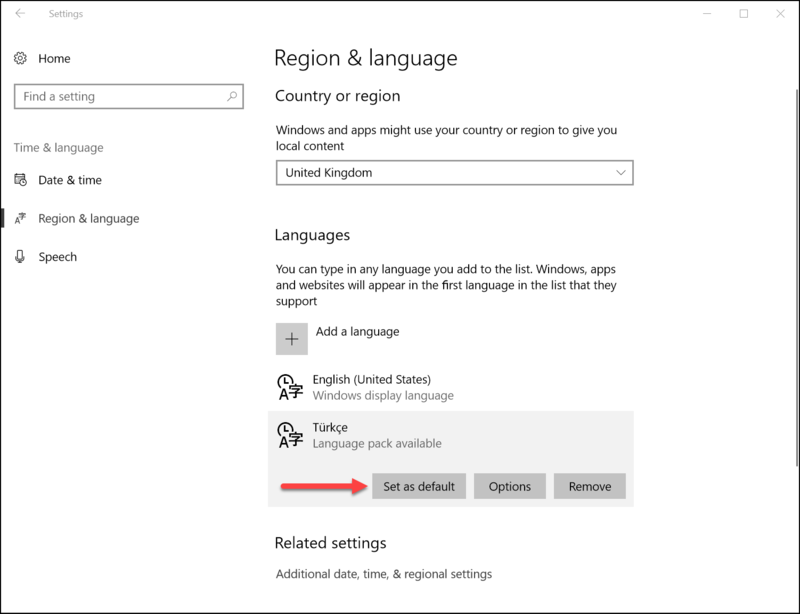 Firstly, let’s take a look at how to install a language pack. This is a necessary step before you can change your system’s language. 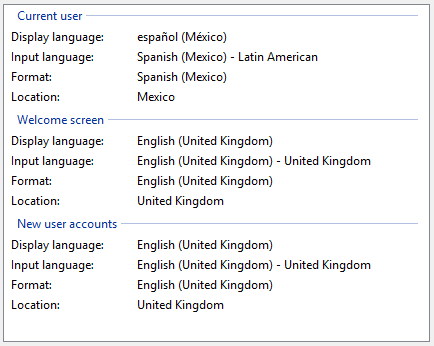 Open the Start Menu and click on Settings > Time and Language > Region and Language. At the right-hand pane you can change the region. This is useful for finding localized content and apps. You can set it to any country you desire, but note that it may affect the functionality of Cortana. The second option is where you can install new languages. Click on Add a Language and you’ll be presented with a list of more than 140 languages to choose from. Click on the one you want and it will immediately start installing. You’ll be shown a notification telling you that it could take a while. The language will show up in your language list while it installs. 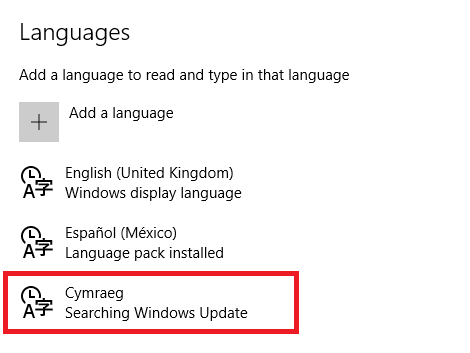 Once the process is finished, the message below the language will change from Searching Windows Update to Language Pack Installed. When you see this message, you are ready to move on. 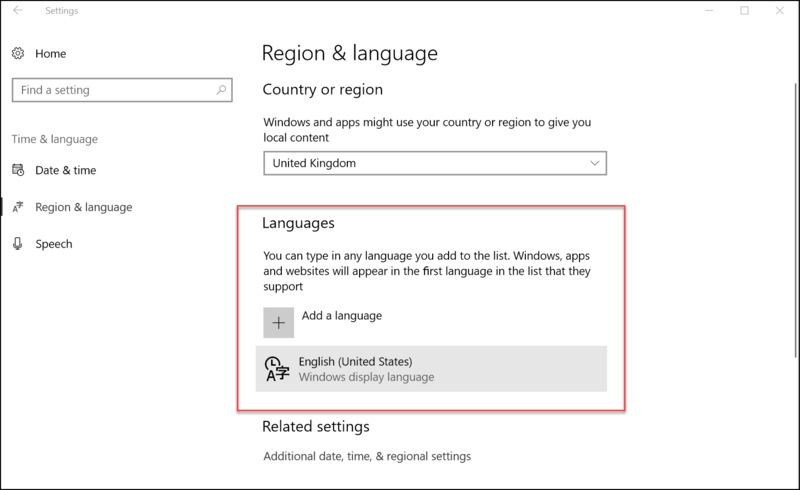 To change the display language, click on the newly-installed language pack and select Set as Default. The new language will be displayed next time you sign-in. Keep in mind that if you follow these steps, you’ve not necessarily changed the global settings – the language on your sign-in screen and welcome screen, as well as the default language for new accounts, will be unchanged. 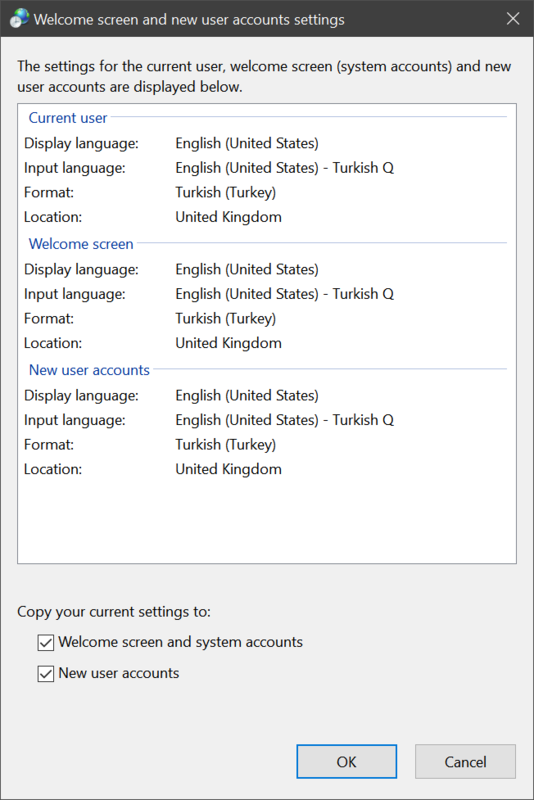 To change all the global settings, open Start Menu > Control Panel > Region > Administrative > Copy Settings then tick the two checkboxes next to Welcome Screen and System Accounts and New User Accounts. You’ll see all the settings automatically update. Restart your system for the changes to take effect. 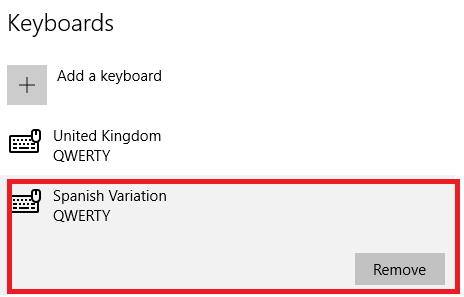 When you install a new language pack, the associated keyboard is automatically installed along with it. If you want to add a new keyboard, it is also easy to accomplish. 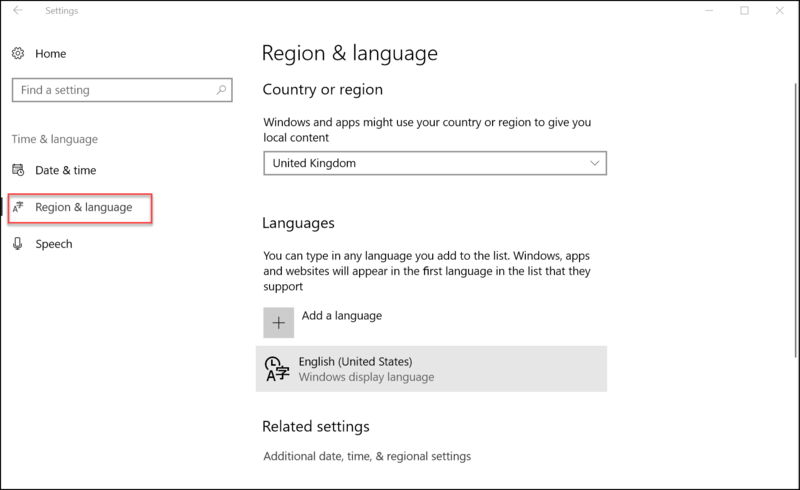 Open Start Menu > Settings > Time and Language > Region and Language. 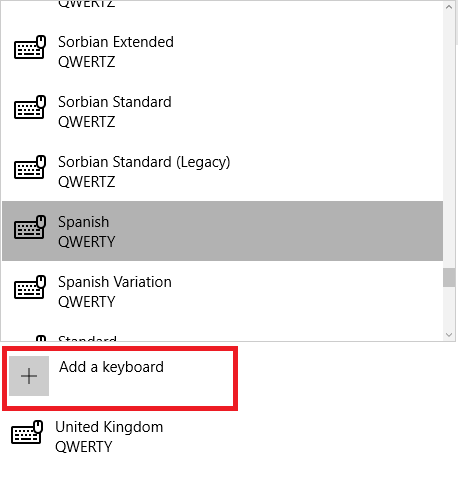 Click the language pack that you want to associate your new keyboard with and click Options. Next, click Add a New Keyboard and make your choice from the list. You can also remove keyboards from this menu. Just click the keyboard you want to delete and click Remove. Also speech language needs addressing i– both input and output. Open Start Menu > Settings > Time and Language. Click Speech from the left-hand pane. The top option, titled Speech Language, allows you to set your input method. It is worth noting that you need to have installed the corresponding language pack before you can change your speech input language. 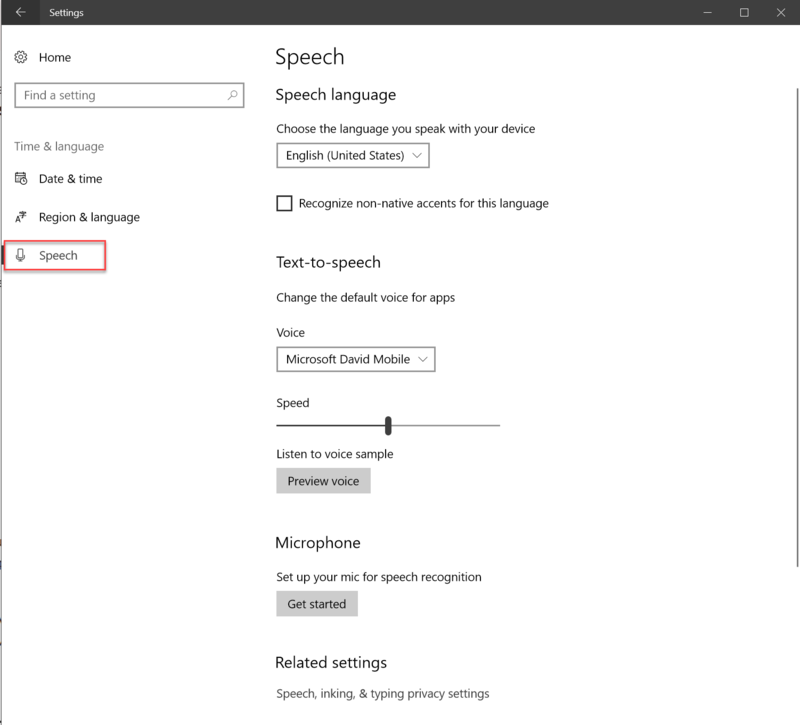 The option below – Text-to-Speech – is where you can choose the voice used by Cortana. Every time you install a language pack, the corresponding Cortana voice will also be installed. Choose your preference from the drop-down menu.